Dr. Ulla Tillander-Godenhielm’s response to this question: A list of the names for all known members of the Fabergé family according to their birth certificates is in Fabergé ja hänen suomalaiset mestarinsa (Fabergé and His Finnish Workmasters) 2008, 18-19. It is not unusual for the calling name to come second. Peter Karl Fabergé was born on May 30, 1846. His Russian mark was for Karl Fabergé (Карл Фаберже); for the English market it was CF . I have always thought it was wrong to say Peter Carl for the same reason that I would find it strange, if you called me Edith Ulla. Bainbridge was almost a poet – his text is ‘music’ and Peter Carl somehow sounded better to him than the prosaic Karl. Tillander-Godenhielm further suggests the names of the Finnish Fabergé workmasters (Ibid., 404-5) be cited as their names are spelled on their birth certificates, with the understanding that the birth certificate lists all given names of the person. Only the names the workmasters themselves used in their marks should be cited with Fabergé objects. Thus, the workmaster Armfelt often misspelled Karl Armfeldt should be Hjalmar Armfelt, Victor Aarne should be Viktor Aarne and Anders Nevalainen should be Antti Nevalainen, etc. After 1899 a uniform mark was adopted throughout Russia. The traditional woman’s headdress, the kokoshnik, was introduced. For the years to 1908, the head faces to the left, and from 1908, to the right. After 1908, St. Petersburg included the Greek letter alpha, and Moscow, the Greek letter delta. There had been much debate over how and when the kokoshnik hallmark was actually introduced. Recent reseach by Valentin Skurlov has clarified the position, and readers wishing to know more are referred to his enlightening article, “Russian Hallmarks at the Turn of the 19th Century” in von Habsburg et al., Fabergé: Imperial Craftsman and His World (2000), 404. There are no hard and fast rules regarding the marks of the House of Fabergé. In St. Petersburg, “Fabergé” in Cyrillic script was used, although the initials KF in Cyrillic were used on smaller items. Some silver objects made by the workmasters Antti Nevalainen and Julius Rappoport have Fabergé’s name with the initial K, plus a double-headed eagle, indicating the items were sold in Moscow. The Imperial Warrant of the double-headed eagle appears, as a rule, on objects made in Fabergé’s Moscow branch, together with “K. Fabergé” in Cyrillic script. Some objects have been found with just the initials KF in Cyrillic. There are various exceptions, and readers wishing to investigate further are referred to Géza von Habsburg’s article “Hallmarks,” in von Habsburg and Lopato, Fabergé: Imperial Jeweller (1993). Articles made for the London shop had “Fabergé” or “CF” stamped on them in Roman letters and often have later English import marks. In the days of the guild system, craftsmen underwent a regulated course of training from apprentice to journeyman, i.e., fully trained craftsman. Journeymen often travelled so as to have the opportunity of increasing their professional skill under other masters and in other places. The journeyman’s aim was to become a master, i.e., to establish himself either as a workmaster in a large firm or as an independent employer with his own workshop. Most of the Finnish masters were only concerned with production; very few had their own shops. As a rule, Finnish workshops worked either under contract or as free subsidiary suppliers to firms who took care of sales. The high degree of specialization in the field favoured the adoption of a system of subsidiary suppliers. The House of Fabergé had an organisation of this kind. In addition to the workshops which operated on the firm’s premises, many of which were presided over by Finnish masters, Fabergé employed many other workshops as subsidiary suppliers. Between 1883 and 1888 he was a journeyman with the Finnish master Enock Sistonen, thereafter, he worked for the jeweler Karl Bock. While employed by Bock, he worked on his master’s degree, was granted his rights & certificate in 1907, and allowed to use a master’s mark, the use of which was strictly enforced by assay laws in Imperial Russia. Ulla Tillander-Godenhielm advises the entry AB. Unidentified Workmaster (Lowes & McCanless, Fabergé Eggs, 2001, 178) is incorrect and should refer to Abraham Beilin (Beilin and Son, ibid., 185). She further states Fabergé and many other companies (“… also my great grandfather and grandfather Alexander Tillander …”) turned for assistance to Abraham Beilin when they did not have the capacity to fulfill orders. Two examples on the misidentification of the maker’s mark AB are in Keefe, Masterworks of Fabergé: The Matilda Geddings Gray Foundation Collection, 1993, 144, and all subsequent publications for this collection. The misidentification was originally an error by Dr. Tillander-Godenhielm. Sotheby’s London, 26 November 2008, Lot 163 (identified here as Andrei Bragin, a silversmith who exclusively produced holloware and flatware. Valentin Skurlov is credited with recognizing this mistaken identity problem in Lowes & McCanless, 185). This latter cigarette case, decorated with an imperial double-headed eagle, is in an original étui of A. Tillander and was commissioned by the Cabinet of His Imperial Majesty as an Imperial gift. Biographical details on Albert Holmström (1876-1925) – He was the son of August Holmström, who took over his father’s jewelry workshop after his death in 1903, and maintained the quality of the pieces made. It appears to be unique in the Fabergé genre that the same mark was used by two generations of qualified workmasters, and needs to be considered in dating a piece. Examples of their work are the 1892 Diamond Trellis Egg (2011 McFerrin Collection), and the 1896 Lilies of the Valley Basket (Matilda Geddings Gray Collection) and under Albert’s leadership, the 1913 Winter Egg (private collection) and 1914 Mosaic Egg (British Royal Collection). Has anyone seen cigarette cases in gold marked HK (Heikki Kaksonen), St. Petersburg, 1908-17? This workmaster was one of the main makers of cigarette cases in Wigström’s workshop at Fabergé before he established himself as an independent master, and later worked in Finland. Karl Gustav Lundell, attributed as a Fabergé ‘workmaster’ in recent publications and on websites, died on May 29, 1856, and never qualified as a workmaster. Confirmed archival research on this gentleman was first published in Tillander-Goldenhielm, et al. Carl Fabergé and His Contemporaries, 1980, 46-47. Ulla Tillander-Godenhielm assisting with information on the Odessa branch pointed out the biographical entry for Karl Gustav Lundell is incorrect (Lowes and McCanless, Fabergé Eggs: A Retrospective Encyclopedia, 2001, 220). He was not the principal workmaster in Odessa, because he died in 1856 at the age of 23. The mark ГЛ is of an unknown workmaster. Anders is the Swedish speaking version of the name, but Nevalainen was a purely Finnish speaking person. There are two official languages in Finland, Finnish and Swedish. The clergymen in the old days were almost all Swedish speakers and therefore, on their own initiative wrongly marked Swedish versions of names into church registers when they added confirmation dates, marriage dates, etc. Niukkanen is an old misunderstanding which came about because Nykänen, when he as a young apprentice arrived in St. Petersburg, had to have his name transliterated into Russian. When the name was transliterated back to Latin script, it went wrong. Both Nykänen and Niukkanen are usual Finnish names, no one has noticed the error before now. Dr. Tillander-Godenhielm has solved the Gabriel Nykänen question. He spent his entire working career with the House of Fabergé in the St. Petersburg up to the revolution, and not in Odessa as sometimes suggested. His nephew Frans Botolf Nykänen (b. 1870) worked for Fabergé in Odessa. He moved with his wife and children to Odessa in 1903, but returned to Finland already in 1905. The father of Frans Botolf, Matts Nykänen (b. 1847) was also a goldsmith master in St. Petersburg. The research on the Nykänen family of goldsmiths is, however, still incomplete. Alma Pihl – Sister of Oskar, her married name was Alma Klee. Oskar Pihl (1890-1959) Junior, born in Moscow, first name spelled with “k”, the former’s son trained with his uncle Albert Holmström, worked as a designer at A. Tillander in Helsinki. Neither Oskar nor his sister Alma had marks of their own. Alfred Thielemann, a Fabergé workmaster from 1880-1910, specialized in gold, enameled and gem-set jewelry, Imperial presentation jewelry, miniature Easter eggs and jettons. His son Rudolf Thielemann continued the business after 1910. Active 1898-1909. The workshop was founded in 1865 by the silversmith master Stefan Väkevä (1833-1910), who shortly after qualifying as a master, became a supplier of silver objects to the jewelry firm of Gustav Fabergé, father of Karl Fabergé. From the late 1870’s Väkevä had a contract with Fabergé to work exclusively for him. This collaboration continued until 1917. Stefan Väkevä’s two sons, Konstantin (1867-1902) and Alexander (1870-1957), apprenticed with their father and qualified as master silversmiths in the early 1890’s. Both sons continued to work with their father in the family workshop. Each had his own master’s mark: and for Stefan, for Konstantin, for Alexander. It was unusual for a family workshop, with three family members working under the same roof, to mark their production with their individual marks. To add to the confusion of three separate marks, a fourth mark was introduced after 1902 in the Väkevä workshop. Due to the premature death of Konstantin Väkevä, his widow Jenny Väkevä was left alone to support two small children. She was subsequently given the right to a mark of her own . This entitled her to an income from the workshop. The so-called ‘widow’s mark’, was apparently unique to Russia as part of traditions of the old Guild system. Terminated in Western Europe in the middle of the 19th century, the Guild system had permitted widows of masters to carry on their husbands’ workshops using his established marks. Russia seemingly took a further step in granting widows a mark of their own. This being one of the peculiarities of the system, as women at that time did not have the possibility to train in the craft, they were in other words not themselves master gold- or silversmiths. Stefan Väkevä was a member of the St. Maria Lutheran congregation in St. Petersburg. The clergymen in this congregation were originally Germans and therefore kept the church registers in the German language. The letter V in the German language is pronounced as an F, Väkevä’s last name was changed by the clergyman, for the purpose of the church register only to W. But the family used their regular spelling Väkevä, meaning “strong”. The family comes from the village of Väkevälä in Finland, it is an ancient place, originally inhabited by a strong man whom one can trace to the 16th century. There are still today members of the Väkevä family farming the land of the village Väkevälä near the border of Russia. 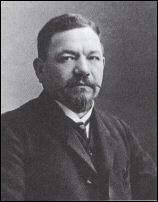 Stefan Väkevä, his son and daughter-in-law used the version S•W, K.W., A.W, and J.W. in their masters’ marks, probably because the version W sounds more exotic to a Finnish ear. That is (according to the descendants) the reason Stefan decided to use the W in his masters’ mark. The offspring modeled their marks on their father’s mark. Lowes, Will and Christel Ludewig McCanless. Fabergé Eggs: A Retrospective Encyclopedia, 2001. Who’s Who in the House of Fabergé profiles 500 artisans and companies who worked for or with Fabergé.